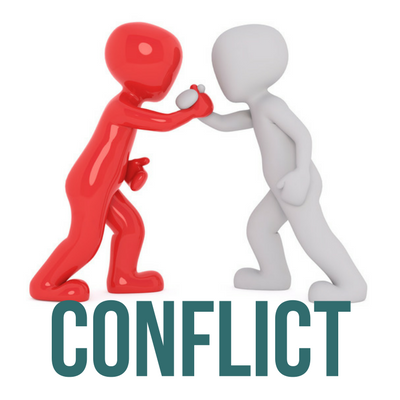 On Wings of Eagles: What is conflict? Have you ever noticed that your greatest pain and disappointments came as a result of a broken relationship? When something isn’t right between you and someone else, we call that conflict. You know how it goes. It’s like that time you had a horrible fight with your parents, or when your friend spread rumors about you at school or a coworker talks behind your back. Or maybe, a friend unfriended you on FaceBook. It’s not hard to figure out what conflict is because we experience it every day. The bad news is it’s also unavoidable. Why? Because we’re human, and humans mess up! None of us are perfect, and when imperfect people try to do things, conflict can easily come up. But conflict isn’t always a bad thing. In fact, healthy conflict can lead to healthy relationships. But, when we don’t deal with conflict in a healthy way, it’s like a poison. It’ll slowly seep into our relationships, infecting everything and everyone we interact with. In the Bible, the writer of Hebrews knew this well. That’s why Hebrews 12:15 says this: … Watch out that no poisonous root of bitterness grows up to trouble you, corrupting many. It’s important for us to work through conflict, because the quality of our lives is only as good as the quality of our relationships. The next four days, we’ll learn why we fear conflict, how conflict affects our relationship with God, and how to deal with conflict in a healthy way. Let’s each pray now that we will stop fearing conflict and start dealing with it so that you can build better, stronger relationships. Dear Lord, as we look at conflict help us to learn how we can stop fearing it and become stronger when we handle it the correct way. In the Name of Jesus, Amen.